Ceramic tile offers timeless beauty, extraordinary durability and unlimited design possibilities. If you have never considered ceramic tile before you will be amazed at the variety of colors, shapes, patterns, sizes, trims, and textures available for you to select from. We offer the wide selection of high-quality ceramic tile and porcelain ceramic floor tiles that will match any dé and lifestyle. Expert Design Help For Any Décor! There is an unlimited number of choices with ceramic tile today. From the 20" or larger ceramic tiles, to elegant-designed listellos, to vibrant accent tiles, to colorful glazed wall tiles our professionally-trained tile sales staff can help you find the right tiles to create a stunning looking room! Don't let selecting the right tiles for your room be a frustrating experience, let Marys Flooring help guide you through the process and make your shopping experience an enjoyable one. After all, getting a new floor is exciting! Our tile installers are highly trained in the tile business and you will always be assured of quality workmanship and professionalism -- We Guarantee It! 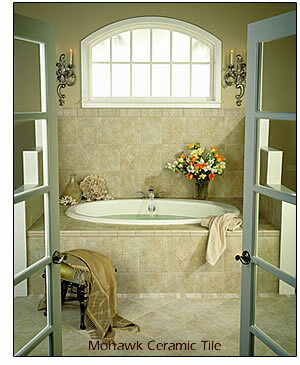 We also in home estimates to make sure your room is suitable for ceramic tile flooring. Not all structures or sub-floors can bear the additional weight of ceramic tile, so we take great pride in making sure you know your options before selling you any flooring. For all your commercial flooring needs in Miami Florida area.